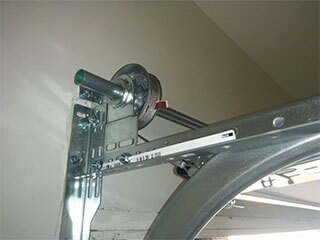 To ensure your garage door system continues functioning properly for as long as it possibly can, you should provide proper maintenance to all of its relevant parts, including the opener, the springs, and, last but not least, the rollers. Doing this at least twice a year will help you achieve some good results, but every couple of months would be preferable. The good news is that these components don’t require anything too special. You should start by checking them for damage and wearing. Look closely at the stems. If a stem is twisted, it will most certainly break soon. That is why preventive replacement is an effective solution. Similarly, if the wheels are worn, the components should be replaced in a timely fashion. Otherwise, you will have to put up with an overly noisy and very shaky garage door. It is a good idea to also check the hinges that hold the rollers. Hinges that have worn cylinders or are heavily bent should be replaced as soon as possible. Rollers that have both steel wheels and stems require lubrication, but nylon coated ones do not. Even the best components that get proper lubrication twice a year or more can break or wear down over time. As we explained earlier, it is important that you get your worn-out rollers replaced without delay or your overhead door will begin to malfunction. When you get new rollers, you must ensure that they have the same wheel size as the old ones. Most residential doors use either one, two or three-inch rollers. You should consult with our experts before deciding which ones to get. Nylon coated rollers, for example, don't require any lubrication and are usually very quiet. The all-steel counterparts, on the other hand, tend to be more durable, yet require routine lubrication in order to continue functioning optimally and silently. Don't hesitate to contact our experts at Garage Door Repair Elk Grove if you suspect your garage door rollers, or any other part of your overhead system, is getting a little too worse for wear. We can repair any type of problem you may be experiencing. Call us today.